Understanding the different forms of stevia can be challenging. This post shares my experience in using all 4 forms as well as includes a conversion chart. This stevia conversion chart is based on using the Sweetleaf stevia brand. I’ve been cooking and baking with it for over 3 years and feel confident in sharing my personal conversion chart with you. The liquid form of stevia is and has been my number one way to sweeten a recipe. 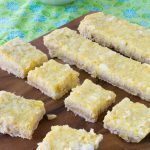 Often because the flavors are fabulous, especially in a no bake recipe. When you only need a 1/4 cup or less of “sugar” these would be what I would use. 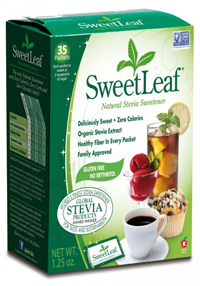 All these liquid flavored stevia’s as well as the clear stevia by Sweetleaf do not contain alcohol. In their flavors they add vanilla extract, hazelnut extract, coconut or cocoa extract etc. to enhance the flavor. I find when a liquid contains the alcohol just like in imitation vanilla extract there is a aftertaste I am not a fan of. The NuNaturals Clear does have 20% pure grain alcohol in it, but they also have a an alcohol free liquid stevia. I do find the NuNaturals alcohol free liquid to be a bit sweeter in comparison to the Sweetleaf liquid stevia’s. Packets are wonderful to take on the go for easy traveling. Great to put in coffee and oatmeal. If you’re baking though you may need to use quite a few to create a recipe needing at least a 1/2 cup of sugar. I won’t use NuNaturals powdered packets of stevia is because it contains maltodextrin. Sweetleaf does not. This is powdered stevia with inulin fiber. Inulin fiber is a natural occurring carbohydrate found in 36,000 species of plants. It’s most common form comes from chicory. It has health benefits in that it helps increase calcium absorption. It does not raise blood sugar and is suitable for diabetics. Depending on how much inulin fiber is used in any stevia product you purchase it ranges from bland to subtle sweetness. Here in this product 1 tablespoon equals 1/2 cup of sugar. Many of my recipes refer to using this powdered stevia. I started using this one at the very beginning of my baking with stevia as I was uncertain I wanted to begin with the pure extract. Unless otherwise noted as pure extract you would NOT replace pure stevia extract with this powdered stevia that contains fiber. The two are not equal in strength as you will see below. This product could be used in exchange with packets of stevia as they are about equal in strength. 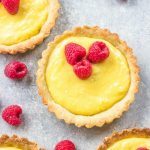 As I have gotten more confident in using stevia in my baked goods I am experimenting more and more with the pure extract and it will be noted and linked in every recipe which one I use. This is the pure stevia extract with no fiber. I have also used the organic pure extract from Trader Joes and it seems similar in strength to this Sweetleaf brand. It is very strong and very sweet. Unless needing at least a cup of sugar in a recipe I would not recommend even using the pure extract. Anything less than a cup and the liquid, packets or a powdered product should be used. Most baking blends on the market contain maltodextrin which is derived from corn in the United states. Some baking blends actually also contain sugar and stevia to attempts to reduce how much sugar is used. I’ve not found one blend I liked the ingredients on so therefore can not recommend any at this point. The only thing to note about baking blends is they do make baking easier because all you need to replace is the sugar in any recipe you want. It’s certainly not the case with using the pure extract or any of the above stevia products I use. Stevia baking blends are NOT the same as the powdered stevia above and should not be used interchangeably. A lot of time , effort, experimentation and cost goes into my recipes to share them with you as I rarely can make them once and call it a day. Life would be a whole lot easier if I could use a baking blend, but I honestly don’t feel good about putting that in my body or my families bodies. You can read more about what to look for when purchasing stevia in this post, The 3 Best Stevia products. *Please note on this conversion chart: I can not tell you if the brand you are using is going to be as sweet in comparison with the Sweetleaf brand. Some brands are stronger and some are less sweet than others all dependent on the way it is processed. Unfortunately I can only give you a guideline and you must be the judge to carefully using it when baking. 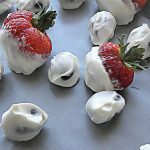 If you find an aftertaste or bitterness it is either due to the additives in the product you purchased or not enough stevia was used in the recipe especially baking with unsweetened cocoa powder which tends to be bitter all by itself. Although I am sharing my experience with using the Sweetleaf brand, I hope through this post you can at least get an understanding of the wide range of differences between the liquid, packets, powdered, pure extracts and baking blends of stevia to compare with the brands you may be using. 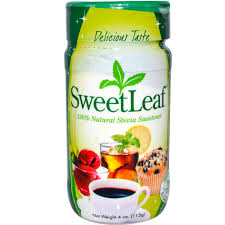 Disclosure: I have not been paid by the Sweetleaf company to showcase their products. I truly love them and use them in my everyday life. All opinions are 100% my own. This is a great resource!! Pinned! Thanks for the conversion chart – very helpful! This chart will definitely come in handy! It works for me so hopefully others will find it useful. I needed this post so badly. Thanks and I am bookmarking it! Glad you can use it Ginny! Thanks for the education and the chart! This is so helpful. Pinning, bookmarking and sharing everywhere. I am a big fan of Sweetleaf, but have not done too much baking with it and I want to change that. I use it on my oatmeal, in smoothies and in my tea. And, I always have packets in my purse! Great information! Thank you for taking your time to do the research and make the comparisons. I had no idea there were so many varieties of Stevia! Thanks for the lesson! what a cool chart! thanks so much for the useful info. My in-laws are all about the liquid stevia! They carry the little droplets around with them so they can sweeten tea when they eat out. A great reference. Brilliant! I had no idea how to cook with all of the various forms of stevia. The chart is a tremendous help! What a great chart! Thank you! 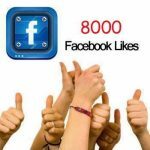 This chart is a tremendous help – Thank you sooo much! Love learning about stevia! I never know how much to use. What a super helpful post! I’ve been looking more into sugar alternatives and this conversion chart is going to come in so handy. Thanks! This is absolutely wonderful!! I’ve been thinking of substituting my sugar so this will definitely come in handy! Thanks Connie, hope you find it helpful. Thanks! 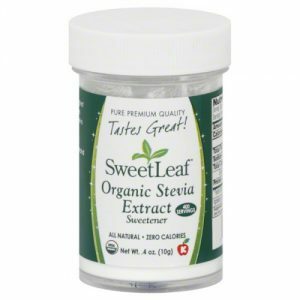 I have used sweetleaf powdered stevia but when I used it in a recipe it had a bitter taste. Is that usual? or did I add too much? I would love to give it another chance, but right now it seems to mess up many recipes of mine. Thanks again! I’m really so used to it, I find no aftertaste but if your recipe has some type of fruit in it like applesauce or banana you should be good. If there is no other sweetener try the liquid flavored stevia and see how that goes for you. Thank you for sharing your trials and your expertise on Stevia with your readers. One thing I’ve experienced was a headache after consuming a homemade item from a bake sale which claimed to have Stevia in it. Perhaps it is possible that one of the other versions of Stevia you posted was used with an ingredient that was processed? Your thoughts? Also, I have a hint on how to make powdered sugar, which I used to do when we consumed white sugar and I’m sure it will work with Stevia: I put it in a coffee grinder for a few pulses and it becomes like powder! I thought I just made a post, but it doesn’t look like it took, I apologize if this comes out as a duplicate. First, I’d like to thank you for going through all this trouble and sharing it with your readers on the differences of Stevia. Also, I wanted to share that I had gotten a headache (1 time) from consuming a home baked item from a bake sale in which I was told was made with Stevia and also a drink (from the same person), a lemonade made with Stevia and I therefore concluded that I was allergic to Stevia, however, after reading your post, I now believe it must have been a brand of Stevia with the processed ingredients. Thank you for pointing out these differences. Also, I wanted to share what I do to make powdered sugar, which I used when I was using regular sugar and a sugar substitute called Xylitol (because I didn’t know all this about Stevia): I put the “sugar” in a coffee grinder and pulse it a few times and voila, it turns to powder form! Yes the powdered sugar sub is a great idea and it can be done with eryhtritol as well. I agree with all your thoughts on the stevia! 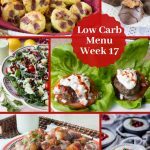 I will add a link to this next week when my own stevia post goes out. 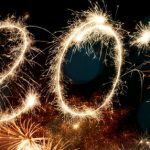 As a fellow blogger so much work goes into each post, thanks for doing such a great job. Thanks Brenda! The chart & info are really helpful. 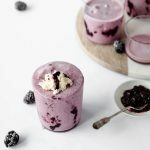 Qbedroom – I have a recipe for “sugar free frozen Greek yogurt” it calls for 1 tsps of Stevia extract, I only have Trader Joe’s Stevia packets & Stevia liquid (also TJ’s) can I substituted either one for the extract? Note: the recipe also calls for 2 tbs. Vodka. Thank you again! The extract for 1 teaspoon is quite a lot, maybe too sweet for me even. I would use the stevia liquid, maybe 1 teaspoon then taste and see if you need more. Hi, great resource on the stevia! I want to make your pumpkin custard, but only have powdered stevia and the recipe calls for liquid. After reading the conversion chart, I got a little confused. Would I use 8 tablespoons of powdered stevia? It seems like alot. Its not pure stevia. The pumpkin recipe calls for 1 teaspoon of liquid vanilla stevia. 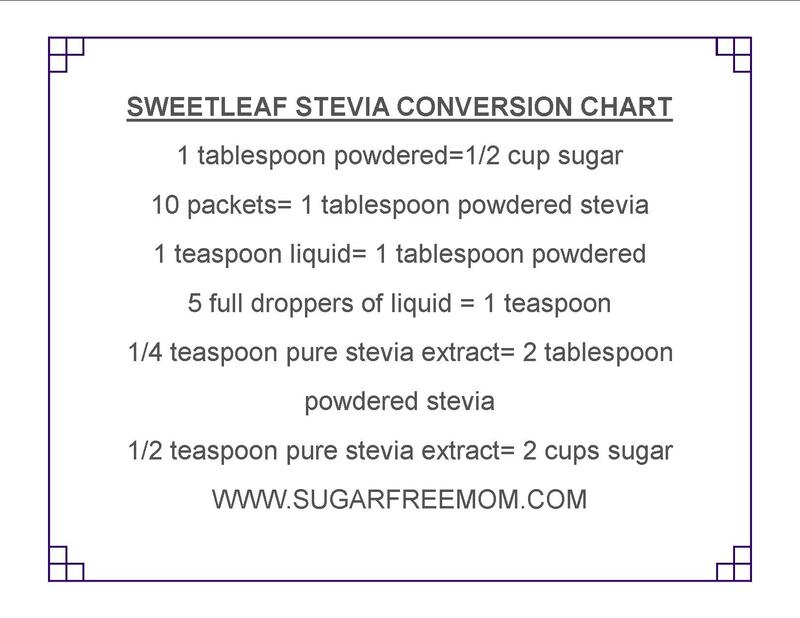 If you look at the chart above you will see that 1 teaspoon liquid = 1 tablespoon of powdered stevia, not pure extract. I’m not sure where you are getting 8 from. 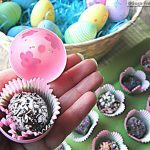 Can you use the powdered Stevia in making candy truffles? Have you ever tried any of the erythritol and stevia blends? Erythritol ha about 70% of the sweetness of table sugar, with none of the carbs. In terms of texture it’s an ideal substitute for sugar, but in terms of sweetness it needs some stevia to help it out. This combination of erythritol and stevia comes in a scoopable canister and is available at most natural foods markets. An erythritol/stevia combo in a zip-top bag. I’m thinking that one of these might be ideal for baking, but I haven’t had the chance to try them out yet. I’ve been using Swerve which is erythritol, more and more in combination with stevia in my recipes and I really like it. I am wondering if you & your family have gastrointestinal side effects using the other sugar alcohols? They tear up my gut bad and it can take a week+ to recover too. So, I hesitate to try Swerve. I know erythritol is not supposed to cause the bad side effects. But I will try it if you also have problems with them and not with erythritol. Fortunately Sweetleaf products are okay and I had found them before finding you. 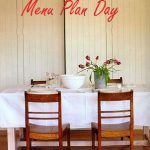 Was so happy to see such great recipes! I had tried other Stevia brands with side effects like Stevia in the Raw which gave me stomach cramps in about 15 minutes of ingesting. Thanks Brenda for all your hard work! Thank you so much for sharing this! 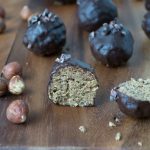 I’ve been trying to improve my use of stevia in recipes. This will be a great help!! Dreams of sugar-free brownies are now dancing in my head. Thanks a million. Please read the instructions on the site Stevia white powder . thank you. ___ Liquid Stevia = ___ Sugar. That would be helpful for recipes. I prefer using liquid stevia over powdered stevia because I have to keep my carbs low. I loved all the great info and the chart is also wonderful. I will be using it often. I was wondering if the Sweetleaf Liquid Stevia Sweet Drops Sweetener Natural Stevia Clear is the same as Stevia Glycerite? I gave seen some recipies that have that in it and they look good. I was addicted to Splenda and drank a case a week of Ginger Ale. Once I became more alert to the affects of my Diabetes I stopped it. I found my head clear and more alert. I was able to substitute sugar and salt out of my diet. I did this over one year and lost 100 lbs. I presumed that I was reacting too all sweeteners and I did try stevia but found it too much of an after taste. Now I react to all sugar and only eat unprocessed food which is rather bland at times. (no sugar, no salt) Thanks for the chart and I want to try Sweet Leaf Vanilla Creme liquid stevia. I was thinking about purchasing some of the powdered stevia extract. From what I understand from your article, I would only use it when the recipe calls for at least a cup of sugar. My question is, how much would I use in a recipe for a baked item like cookies or brownies that calls for 1 cup of sugar? Obviously not a whole cup of it, but how do I account for the extra “bulk” a cup of sugar would provide? Can you use stevia instead of sugar for beer making? I’ve never tried making beer so not quite sure if it would work for you as regular sugar does. Wondering which size dropper you are using in your chart…. The bottles come in a couple of sizes. Thank you.